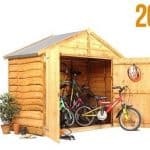 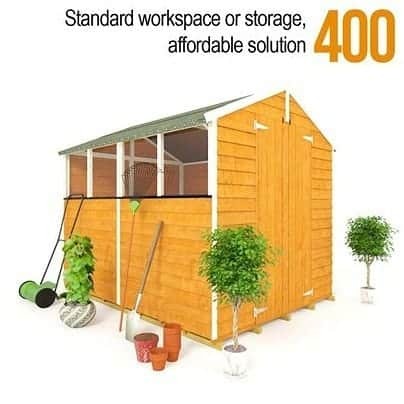 This is an excellent garden shed with ample storage and feature windows, allowing plenty of light and air inside. 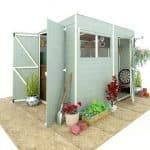 With large double doors, you will be able to transport equipment back and forward with ease. 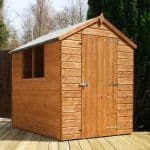 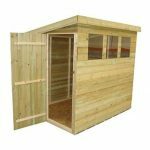 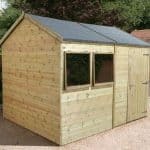 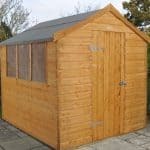 With overlap cladding and constructed from hard wearing and long lasting wood it looks great in all gardens and is the perfect secondary storage building too.